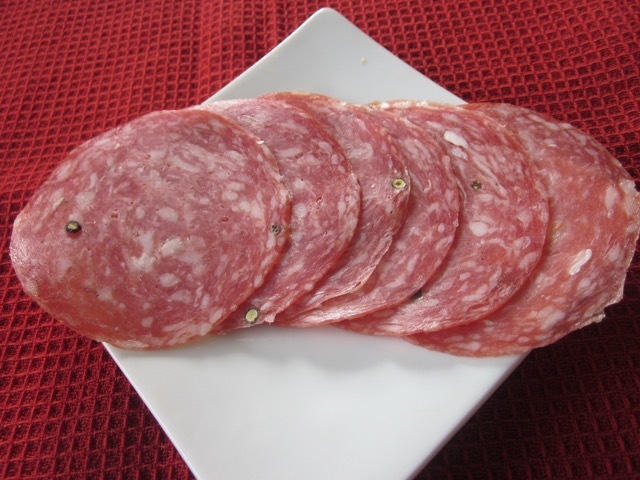 Genoa salami is a hard, dry cured, garlic-flavoured salami made of pork; or pork and veal. In the US, it’s mostly made of pork and beef. Genoa is one of the best known Italian salamis, originating in the Genoa region but is now made elsewhere in the world. It is usually seasoned with garlic, salt, black and white peppercorns, and red or white wine. Genoa salami is mild yet full of aroma, punctuated by delicious spices. It can be made hot or mild. The hot one has a more robust colour compared to the mild one. It can served in a sandwich, or on a platter or just eaten as a snack. Ingredients in Mastro Genoa Salami: pork, salt, dextrose (glucose), red wine, cultured celery extract, spices, garlic powder, starter culture. 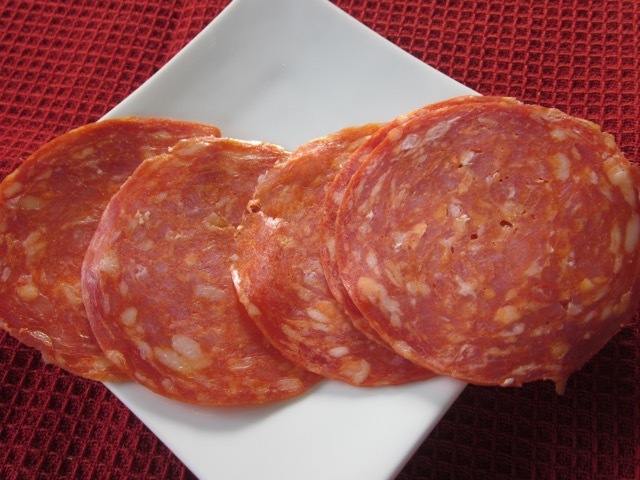 Salami (singular salame) is a type of cured sausage consisting of fermented and air-dried raw meat, typically pork or beef or veal, or a mixture of pork and beef or pork and veal. Fat is also added to the mixture. The meat may be smoked or not. The raw meat is usually salted and flavoured with herbs and spices and wine or spirits may be added for flavour. Salami originated in Italy but is now made in different countries in Europe and around the world. Prev What is Clarified butter? Next What is Teriyaki Sauce?